Zoe Louise Ball has made history. Again. In 1997, she became the first woman to host the Radio 1 Breakfast Show. 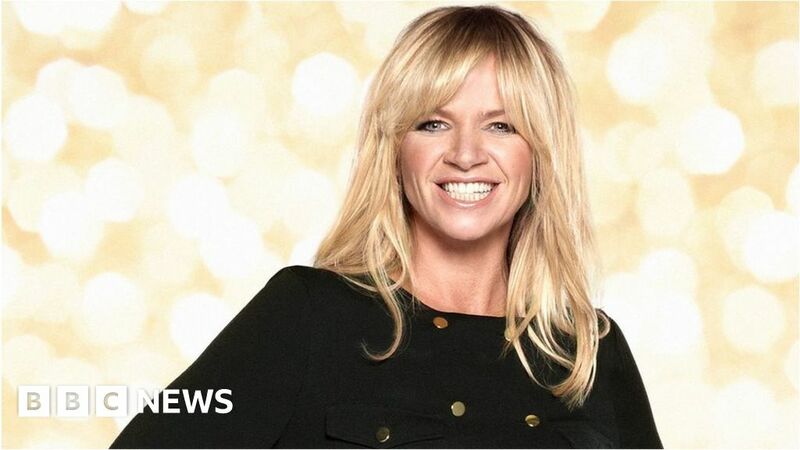 Next year, she’ll become the first woman to host its Radio 2 equivalent. She beat competition from her close friend Sara Cox to take the role; and replaces Chris Evans, who regularly attracts more than 9 million listeners to the show. Here are some facts you might now know about the broadcaster. Zoe was just 10 when she appeared in the studio audience for the kids’ TV show Saturday Superstore in 1980. The youngster was in the studio because her father, broadcaster and maths genius Johnny Ball, was a guest on the show. Years later, of course, Zoe presented her own Saturday morning kids’ show, Live & Kicking, alongside Jamie Theakston and Mr Blobby. Zoe’s parents divorced when she was young, and she stayed with her dad – which was unusual for the 1970s. But despite his talents as a father and broadcaster, Johnny Ball was not a cook. “To this day he can barely boil an egg,” Zoe told The Guardian in 2012, explaining that she ate a lot of tinned soup and evaporated milk as a child. But she made up for it at school. “I was one of those kids who ate everyone’s school dinners,” she said. “They used to call me ‘Pig of The Year’. Zoe’s stint on the Radio 1 Breakfast show started when she was in her mid-20s and enjoying life to the full. The programme was littered with tales of her nights on the town; and she admitted that getting up for the show was a bit of a chore. “Do you remember the alarm going off?” she asked Sara Cox, her breakfast show successor, on a programme commemorating Radio 1’s 40th anniversary. “I used to just roll over and turn it off again and again. “Half past five I used to set my alarm, and I would leave the house at 6:29.” (Her show started at 6:30). “I had this lovely driver called John and he used to have to literally bash the door in each morning to get me up. Her stint was not without controversy. Zoe later told a BBC 2 documentary she’d been “high” during a live broadcast from Ibiza; and, according to the Mail On Sunday, school bus drivers in Shropshire banned the show after the star uttered a four-letter expletive in 1998. Music Sounds Better With You by Stardust. Zoe quit the Radio 1 breakfast show in 2000, after two-and-a-half years, to raise a family. She’d enjoyed audiences of more than 7 million; and interviewed everyone from the Spice Girls to Madonna. Her final breakfast show was a star-studded affair, broadcast live from the BBC’s Radio Theatre, attended by hundreds of fans, Spice Girl Mel C, James singer Tim Booth and dance act Phats and Small. At the end of the show, BBC director general Greg Dyke gave her a bottle of Jack Daniel’s whiskey; and the team set off for a champagne breakfast. Before hosting the Strictly spin-off It Takes Two, Zoe was a contestant on the third series of the dancing show. Partnered with Ian Waite, she stunned audiences with her first dance, a waltz, that won 35 points from the judges. That’s a record high score for the first week of the show, which still stands today. Zoe and Ian made it through to the final, eventually coming third to Darren Gough and his dancing partner Lilia Kopylova. Speaking on Wednesday, after being announced as the host of Radio 2’s Breakfast Show, Zoe said she hoped to keep presenting It Takes Two. Earlier this year, Zoe set off on a gruelling 350-mile bike ride, from Blackpool (where she was born) to Brighton (where she lives). She took on the Hardest Road Home challenge for Sport Relief, in memory of her partner Billy Yates, who took his own life in 2017. Zoe said she knew Yates had lived with depression but “didn’t know how to help”. “He was a big strong guy. He did the Iron Man, he loved cycling 50 miles a day, he was the life and soul of the party,” she told the Radio Times. Her bike ride, which aimed to raise awareness of mental health issues and the effects of suicide on family and friends, eventually raised £1,198,012. Zoe left Radio 1 to have her first son, Woody, with dance producer Norman Cook (Fatboy Slim). Now 18 and heading off to university, he encouraged his mum to chase the Radio 2 job. “He said, ‘Mum, come on, don’t even think about it. It’s the coolest thing you can do,'” Zoe told Chris Evans, as she appeared on Radio 2 to announce her new role. “‘And mum,’ he said, and he looked into my eyes and he held my hand, ‘someone will listen'”. Her daughter, Nelly, was less enthusiastic. There's a new Banksy mural, but is it 'too obvious'?